Pitch Black MMA is a program that combines the arts of Kempo Karate, Kickboxing, RCJ Machado Brazilian Jiu Jitsu, and Wrestling. Our program is designed for several types of people. 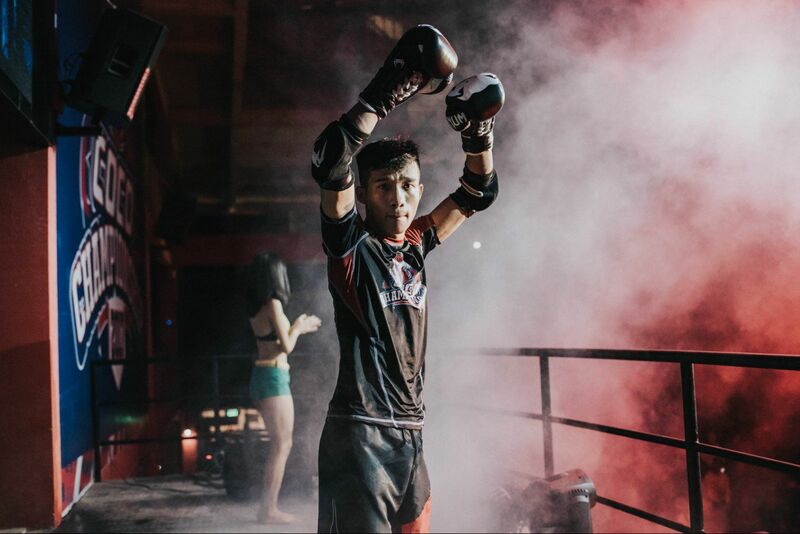 Those who ultimately want to compete in amateur or professional combat sports competitions. Team Pitch Black fighters travel all over the United States and the world to compete and train with some of the best fighters in the world. Those who have no desire to fight competitively but simply want to learn the skills of many forms of martial arts. Those who just want to get into great shape and be a part of a winning team. Our instructors, Ray Thompson, Stephen "Wonderboy" Thompson, Thomas Lee, Karl Reed, and Bradley Strain are lifelong practitioners of many forms of Martial Arts. They are dedicated to helping each student achieve their personal goals and reach their potential. Our facility is approximately 12,000 square feet and includes several large areas of open mat space, a 24ft regulation cage, a 24 ft regulation kickboxing ring, heavy bag area, and various other types of equipment used to perfect the fighting arts. We also have dressing rooms and showers for your convenience.